A journey steeped in wonder. 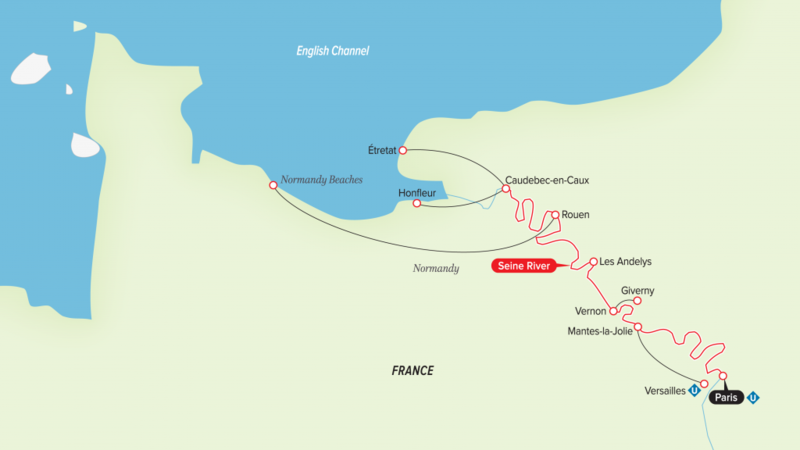 Cruise from Paris through Normandy’s countryside, uncovering its many charms: Richard the Lionheart’s Chateau Gaillard, the medieval capital of Rouen, Monet’s beloved home in Giverny and the famed Normandy beaches. Normandy has been the setting for many battles over the centuries, including the D-Day invasion of WWII, and the Normandy Beaches mean different things to different people, so you’ll have a rare choice to visit several of its historic sites, such as Utah and Omaha beaches, Juno Beach or the famous 11th-century tapestry depicting the Battle of Hastings. Experience a different side of Northern France’s history with a choice to tour two majestic palaces, Versailles, once home to Louis XVI and Marie Antoinette, or Château de Malmaison, once home to Napoleon’s first empress, Josephine. 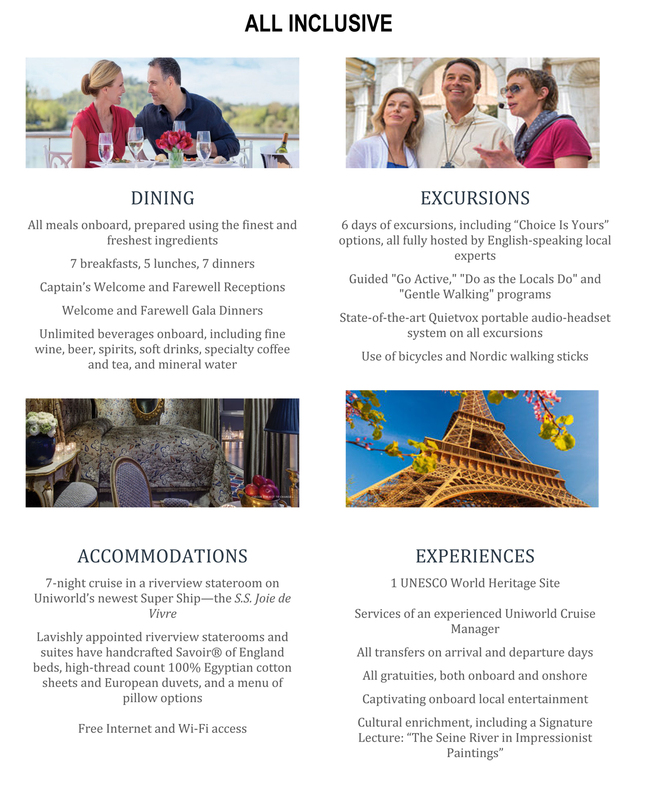 See the best of Paris in one of three ways via the “Heart of Paris” cruise and city tour, an exclusive “Do as the Locals Do” tour or an exclusive guided “Let's Go” bike tour. There are plenty of opportunities to take part in more active experiences, such as golfing at Rouen’s Mont-Saint-Aignan and at Étretat, perched on the cliff high above the sea, making playing golf here a memorable experience and visual feast.